Thank you for signing in (e) https://www.smoothskin.com (the “Website”). Please Please read these Terms and Conditions (the “Terms”) before using the Website, which is operated by CyDen Limited (registered under the number 4470941) whose registered office is at Technium 1 Kings Road, Swansea, SA1 8PJ, Wales, United Kingdom ( “CyDen”). The VAT number GB 189 2765 Cyden is 52. If you wish to contact CyDen, please please contact us by email at contact@cyden.com. during that CyDen has endeavored to ensure the accuracy of the information available on the website, CyDen does not guarantee or give any warranty as to the accuracy, topicality or completeness of the information or material contained on the website. The content of this site is purely informational; nothing on this website does not constitute professional advice. It should always seek advice from a qualified professional for specific problems or concerns. CyDen therefore disclaims all liability for reliance by any visitor to this website to such information or material on this Web site. Websites or pages to which the Website is linked only serve to inform and were not controlled by CyDen. CyDen can not be held responsible for the content of websites or pages linked to or linking this website CyDen and assumes no liability for any loss or or any responsibilities that may result from a click on any of the linked sites. The Website, including (but not limited to) text, content, software, videos, music, sound, graphics, photographs, illustrations, artwork, names, logos, trademarks and other materials ( “Content”) are protected by copyright, database, trademark and / or other rights of intellectual property. Content includes both content owned or controlled by CyDen and content owned or controlled by third parties and licensed to CyDen. All individual articles, publications and other elements that make up the site are works protected by copyright. You must follow and comply with new reporting additional royalties or restrictions contained in this website and in the license set forth below. You may not use any trademarks or trade names of any CyDen without the consent of the latter and you that you have no ownership rights in any of those names and marks. You agree to inform CyDen in writing immediately if you become aware of any unauthorized access or use of the Site by any party or any infringement of copyright, trademark, or any other contractual, statutory or prior to any part of the website or any Content. (Ii) that you apply to this type of download and / or printed copy all copyright notes and may stand bound by the terms of these labels and notes. In addition, you may not offer for sale or sell, make available or distribute by any media (including communication media or the provision by the television, radio or any form of live broadcast and that communication or making available through a computer network) the Content or any part of it without our express consent. The website and the information contained therein may not be used for the establishment of a database; the website can not be stored (in whole or in part) in databases to which you or third parties have access, or to distribute web sites using databases containing all or part of the website. Without prejudice to the generality of the foregoing, you can link all or part of our website. If you want information about obtaining permissions provided by CyDen to use the content, please please contact us by email at contact@cyden.com. THE WEB SITE AND THE CONTENT ARE PROVIDED “AS IS”, EXCLUDING GUARANTEES AND “CONDITIONS OF ANY KIND, EXPRESS OR IMPLIED, TO THE EXTENT PERMITTED BY LAW INCLUDING (WITHOUT LIMITATION) TO EXCLUSION OF WARRANTIES AND CONDITIONS SUCH AS TITLE, MERCHANTABILITY, SATISFACTORY QUALITY, FITNESS FOR A PARTICULAR PURPOSE AND RESPECT FOR PROPERTY RIGHTS OR ANY THIRD PARTY. CYDEN NOT RESPONSIBLE FOR THE FUNCTIONS OF THIS SITE. PLEASE NOTE THAT SOME JURISDICTIONS DO NOT ALLOW THE EXCLUSION OF IMPLIED WARRANTIES OR CONDITIONS; SO SOME OR ALL OF THE DISCLAIMERS ABOVE NOT APPLY TO YOU. While CyDen can not guarantee the functionality of its website, in the event that this website would be interrupted or error-prone, we will endeavor to solve such problems in a reasonable time. It is your responsibility to ensure that your computer system is compatible with the website and that you have installed anti-virus software before you connect to the Internet. CYDEN SHALL NOT BE LIABLE FOR ANY DAMAGES INCURRED BY YOU BECAUSE OF ITEMS THAT MAY INFECT YOUR COMPUTER EQUIPMENT OR DATA, DUE TO YOUR USE OF THE SITE OR DOWNLOADING OF ANY MATERIALS POSTED ON THE SITE. CYDEN SHALL NOT BE LIABLE CONTENT PROVIDED BY THIRD PARTIES. CyDen are not responsible for the reliability or permanent provisioning of telephone lines and equipment you use to access the website. You acknowledge that CyDen uses third party vendors and hosting partners to provide hardware, software, networking services, storage, and related technology required to operate the website and all listed services by the site. YOU AGREE THAT YOUR USE OF THE WEB SITE, INCLUDING THE CONTENT AT YOUR OWN RISK. IF YOU ARE DISSATISFIED WITH THE WEB SITE TERMS OR ANY PART OF THE CONTENTS, YOUR SOLE REMEDY IS TO DISCONTINUE USING THE SITE IMMEDIATELY. EXCEPT FOR FRAUD, PERSONAL INJURY OR DEATH AND TO THE EXTENT THAT THEY RESULT OF NEGLIGENCE CYDEN, CYDEN SHALL NOT BE LIABLE FOR YOU OR ANY THIRD PARTY FOR ANY DIRECT, SPECIAL, INDIRECT, CONSEQUENTIAL, OR INCIDENTAL DAMAGES ( INCLUDING LOST PROFITS) OR ANY OTHER DAMAGES WHATSOEVER, WHETHER IN CONTRACT, TORT (INCLUDING NEGLIGENCE) OR OTHERWISE, EVEN IF CYDEN ADVISED OF THE POSSIBILITY OF SUCH DAMAGES. Applicable law may not allow the limitation or exclusion of liability for consequential or incidental damages; this limitation or exclusion may consequently not apply to you. This website is not directed to persons of any jurisdiction where for any reason whatsoever, publication or access to this site is prohibited. The persons concerned by such restrictions must not access the website. CyDen makes no representation as to the fact that the site or content are appropriate for use or permitted by applicable local laws in all jurisdictions. Persons accessing the do on their own website and must comply with applicable local laws or regulations; if in doubt, it is advisable to seek legal advice. You should not use abuse the site by knowingly introducing viruses, trojans, worms, logic bombs or other malicious or technologically harmful material. You must not attempt to gain unauthorized access to our site or server on which our site is stored and you must not attack the Site via a denial-of-service attack or a denial-of-service attack distributed. We will not be responsible for any loss or damage caused by a denial of service or an attack attributed service resulting from your use of the website. In case of non compliance with these Terms, your right to use the website automatically terminates. At any time, the web site may contain outdated information. Even CyDen is under no obligation to do so, you agree that CyDen is authorized to change the content or technical specifications of any aspect of the website at any time and at the sole discretion of CyDen. You further agree that such changes may have consequences for the inability to access the website. No waiver by CyDen any breach of an obligation arising from these Terms shall constitute a waiver of any other violation and breach of exercise or partial exercise from CyDen any remedy shall constitute a waiver of the right to due exercise this or any other remedy. improve our services and to prevent or detect fraud and abuse occurring on our website. All personal information collected will be treated confidentially and stored as described above. 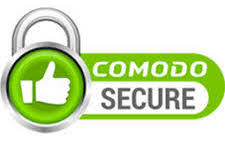 CyDen not disclose any of your personal information except with specific agreement from you. Personal information may also be used to communicate with you, to support the link between you and CyDen to contact you for market research, to ask you to provide additional information to improve our service to you ensure that the content of the website is presented in the most effective manner for you and for your computer, and / or to notify you of changes to our products and / or services. In such cases, CyDen always give you the opportunity to decline to receive such unsolicited communications. CyDen endeavored to create a secure and reliable site for you. CyDen has implemented preventive measures and organizational and technical backup, given the nature of the information we handle. You will notice HOWEVER THAT APPLICATIONS ARE PERFORMED BY EMAIL SENT BY NO MEANS ARE SECURE AND STORED OFFLINE. YOU ACKNOWLEDGE AND INTERNET USE THE WEB SITE AT YOUR OWN RISK. CYDEN CAN NOT ACCEPT RESPONSIBILITY FOR THE SECURITY OF PERSONAL DATA TRANSMITTED BY INTERNET. to get professional advice; and / or with your consent. In these circumstances, you can accept or reject that we may disclose your personal information. The Data Protection Act (DPA English) gives you the right to access information about you. Any access request may be subject to £ 10 processing fee to cover the costs incurred to provide the details of the information we hold about you.